Experts believe this is aimed at wooing voters before the state elections to avoid a repeat of the BJP\'s drubbing in Bihar. Modi shifts focus from allocation of funds for infrastructure to social sector schemes. Prime Minister Narendra Modi is all set to recalibrate budget priorities in 2016 to focus on social initiatives, Reuters reported. This will include India's first major crop insurance scheme that will focus on aiding farmers suffering from droughts and bad loans. Modi has spent funds on roads and railways this year in a strategy to boost economic growth. But it came at the expense of socialist programs for farmers and the poor, suffering through back-to-back drought years, the report added. This tectonic shift in strategy to focus on social sector comes after the BJP lost the Bihar elections to the Grand Alliance, senior officials were quoted as saying. According to the report, additional spending has been cut down by commitments to raise government salaries, military pensions (OROP) and the commitment to infuse capital into state banks reeling under bad loans. The remaining funds will be utilised for the social sector to pump in programmes to woo voters in rural areas. 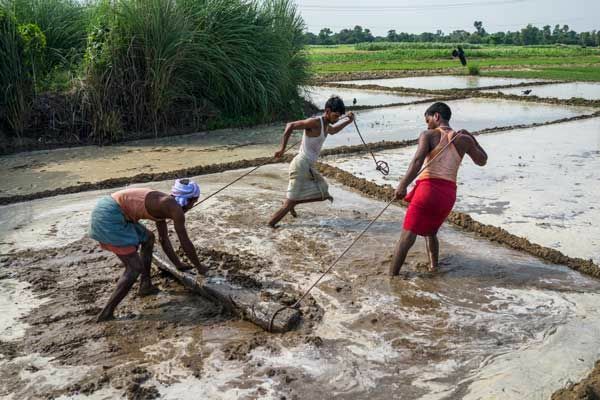 The Modi government is planning to launch a fresh version of the national crop insurance program next summer after the 2016 budget. This will cover the majority of India's 263 million farmers, a farm ministry source said on condition of anonymity to Reuters. Existing insurance plans are based mainly on crop yields and only cover 10 per cent of farmers. To attract more growers, the government may lower the share of the premium farmers pay to up to 30 per cent from 50 per cent earlier, the agriculture ministry source was quoted as saying. "The prime minister is constantly trying to find new schemes and formulate policies to help the villagers. But the truth is that we are still trying to identify the right strategy ... it's a work in progress," said a Modi aide who refused to be identified. Funding for roads and bridges more than doubled in this year's budget and is now higher than the sum allocated to education.